Congratulations to the Jesuit women's soccer team who defeated Clackamas 8-0 in the OSAA Class 6A state championship game at Hillsboro Stadium on Saturday night. Ranked No. 1 in the nation, the Crusaders (19-0) finished a second consecutive undefeated season with the program's 13th title. 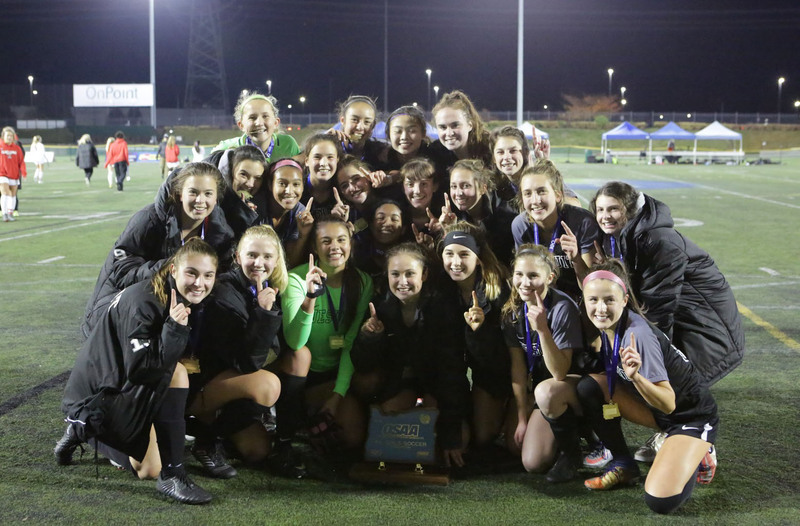 According to an article in The Oregonian/OregonLive, they tied a state record for goals scored and most lopsided victory in a final at any classification, and they finished the year outscoring opponents 128-1. Combined with the men's soccer team's shootout victory over Summit earlier in the evening, Jesuit became the first school to sweep the 6A titles since it accomplished the feat in 2010. Read the full article on OregonLive.